All that partying in college may have taken a toll on the ticker. A small study shows that binge drinking at a young age can cause immediate changes to blood circulation that can lead a healthy young adult to develop risk factors that trigger heart disease down the road. "Regular binge drinking is one of the most serious public health problems confronting our college campuses, and drinking on college campuses has become more pervasive and destructive," senior study author Dr. Shane A. Phillips, an associate professor and associate head of physical therapy at the University of Illinois at Chicago, said in a statement. Binge drinking is a common activity in college, according to the Centers for Disease Control and Prevention; about 90 percent of the alcohol consumed by Americans younger than 21 years old is in the form of binging. A 2012 CDC study found college-aged Americans consume an average of nine drinks per binging episode. Previous studies have found adults between the ages of 40 and 60 that binge drink may be at a higher risk for stroke, heart attacks and sudden cardiac death. The researchers behind the new study wanted to see if younger binge drinkers also faced these risks. Binge drinking was defined in the study as drinking five or more standard-sized alcoholic beverages in a two hour period for males or four or more standard drinks over two hours for females. These drinks include a 12-ounce beer, 9 ounces of malt liquor, a 5-ounce glass of wine or a 1.5-ounce shot of 80 proof liquor. Researchers surveyed 38 healthy college students who did not smoke and divided them into two groups: those who had a history of binge drinking and those who drank no more than five alcoholic beverages over the course of an entire year. 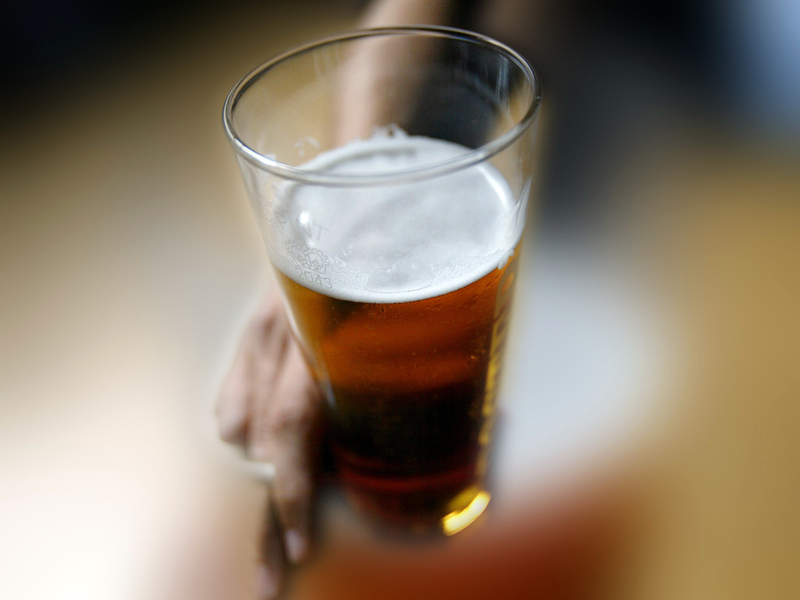 There were 17 binge drinkers and 19 alcohol-abstainers included in the analysis. Each participant was asked about his or her medical history, diet, frequency of binge drinking and whether there was any family history of alcohol abuse. Binge drinkers on average imbibed about six times per month for a four-year period. Blood tests that looked at cholesterol, blood sugar levels, and blood cell and protein counts revealed that binge drinkers had impairments in the function of endothelial and smooth muscle cells. These are the two main types of cells that control blood flow in the body, the researchers said. These changes to vascular cells were equivalent to the problems found in people with a lifetime history of drinking heavily every day, they added. Such changes can precede the hardening of the arteries (atherosclerosis), heart attacks, stroke and other cardiovascular diseases. Having high blood pressure and high cholesterol can also cause these changes the students exhibited, but the researchers pointed out the binge drinkers in the study had healthy levels for both. "This study adds to a growing chain of evidence that suggests that, in contrast to regular and moderate alcohol consumption, binge drinking may be a risk factor for future clinical cardiovascular disease," the researchers concluded. Several studies have tied moderate drinking to reduced risk for stroke, heart disease and other cardiovascular problems. The researchers noted their study had limitations such as the small number of participants. Also, self-reported assessments of drinking may not be entirely accurate. They said more research is needed to confirm the long-term health effects from binge drinking at a young age. Their work was published April 23 in the Journal of the American College of Cardiology. "Alcohol can be directly toxic to the heart and lead to weakening of the heart muscle and heart failure," Dr. William Abraham, director of the division of cardiovascular medicine at The Ohio State University Medical Center in Columbus, told Everyday Health. He was not involved in the research. He added, however, other risky behaviors may be negatively impacting college students' heart health. "One of the major issues today is teenager inactivity. Fewer teens are being active, and are spending more on computers, social media, and video games. Inactivity has a long-term impact on heart health," he said.